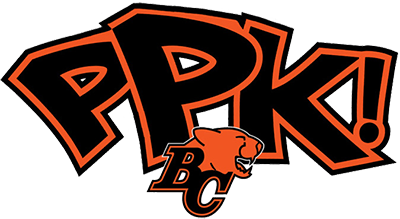 Started in 2013, the BC Lions’ Huddle Up Against Bullying program focuses on delivering anti-bullying messaging to kids ages 6 to 13 through our very popular amateur football programs such as Play with the Pros. The program’s partners are Uniglobe One Travel, and the Province of British Columbia. Punt, Pass & Kick aims to give children an opportunity to display their punting, passing and kicking skills while reinforcing their interest in and love of football. In 2017, the BC Lions and BC Community Football hosted competitions in 16 districts in the Lower Mainland where more than 1,300 players at the Flag (ages 6-7), Atom (ages 8-9), Peewee (ages 10-11) and Junior Bantam (12-13) levels had the opportunity to show off their skills and compete for an individual title. To find about more about Punt, Pass & Kick, click here. Play with the Pros matches BC Lions players with boys and girls, providing them with an opportunity to participate in a non-contact skills clinic hosted by their favourite BC Lions players. This year’s Play with the Pros takes place on Sunday, July 15th, 2018 from 11:00 AM to 1:00 PM at the BC Lions Practice Facility. Click here to register. The participants are divided into groups and rotate through various skill stations every 10-15 minutes. Two players are assigned per station, teaching skills such as passing, receiving, pass routes, and proper running techniques.